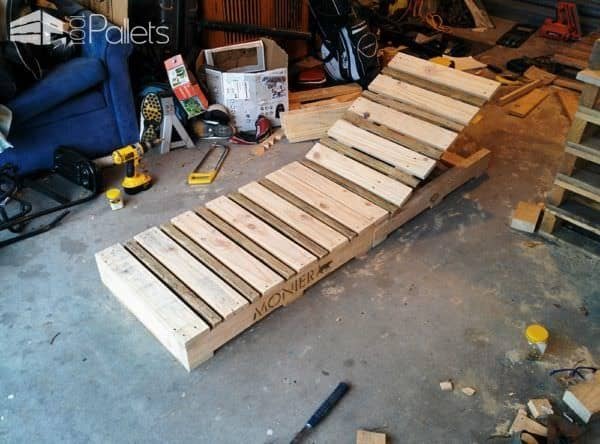 Pallet lounger made out of 2 pallets. 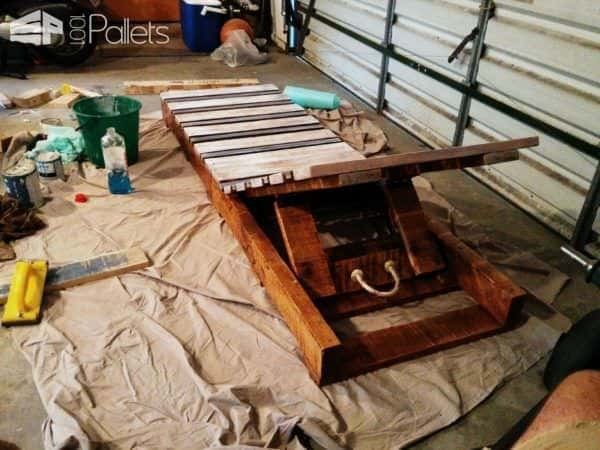 I wanted to have a go at some pallet furniture and thought that a lounger would be a good place to start. 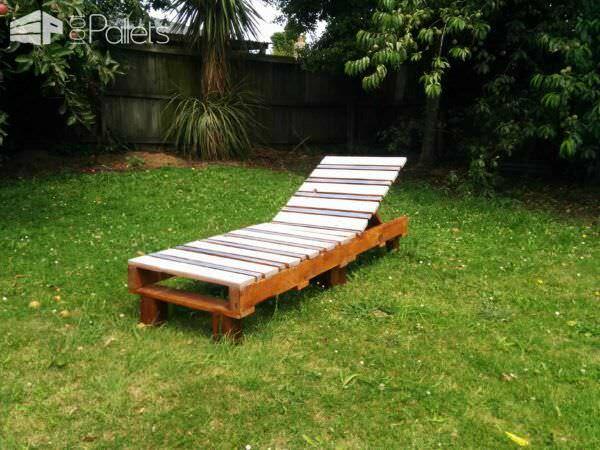 This lounger was made by cutting two pallets in half, stripping the wood off the top of 1 of those pallets and rebuilding an adjustable frame into it with hinges so that lounger had three different positions, flat - slight incline and large incline. 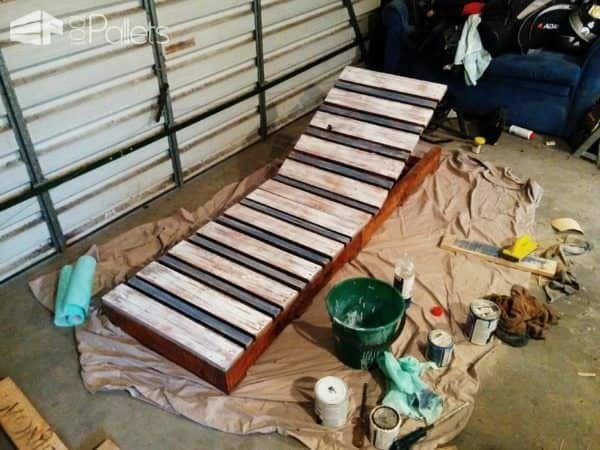 We pulled apart an old broken garden fence to use the skinnier pieces of wood to go in-between the pallet boards for a nicer look, and then sanded it up and did a varnish/finish on the wood. Finally, we did a white/blue beach themed white wash paint job on the top of it. Nice job! Simple and clever design! Made one of these a couple years ago. 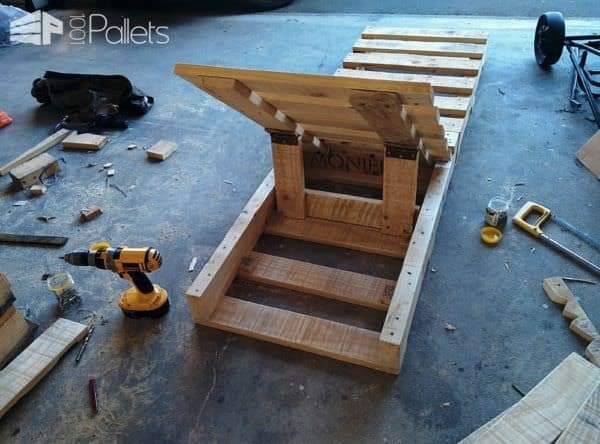 Tough time finding pallets with the same thickness to create a consistent surface. Fun project. Congrats! I´ll try to do it !! That’s a good idea! Plus qu’à peindre et 2 3 modif’…. allez Arnaud Tirobo au boulot !! le beton est terminé ; tu as du temps libre dorénavant !!!! !